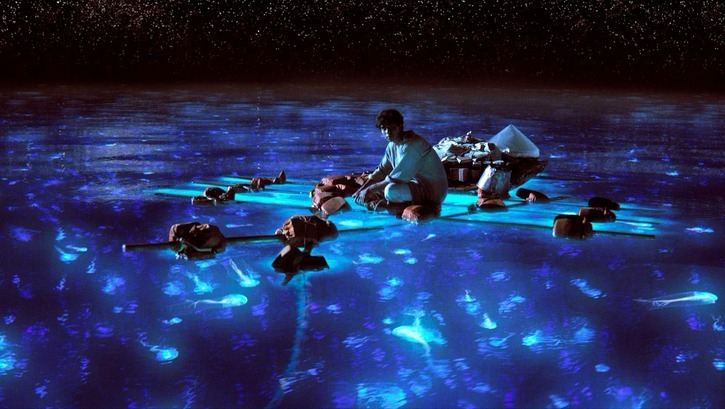 One of the most acclaimed (with 11 Academy Award nominations) and commercially successful (with a current worldwide gross of $524 million) films of 2012, director Ang Lee’s Life of Pi hits Blu-ray 3D, Blu-ray, and DVD March 12. As detailed below, the Blu-ray release will feature a host of in-depth special features. From 20th Century Fox Press Release: Based on the acclaimed best-selling novel from Yann Martel that has been published in 40 languages, and brought to life by visionary Academy Award winning director Ang Lee (Brokeback Mountain, Crouching Tiger, Hidden Dragon), this magical adventure of hope, wonder, survival, and the power of the human spirit has been celebrated by critics all over the world. 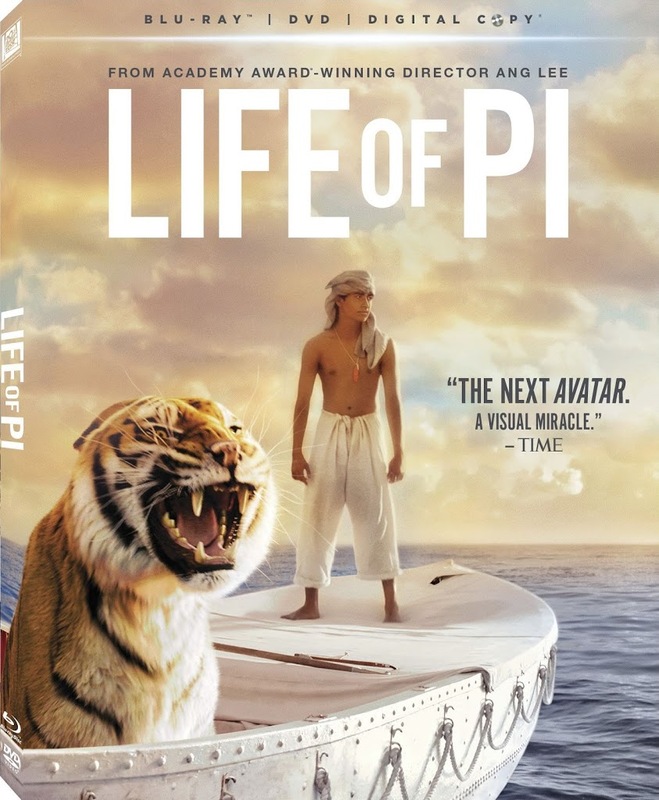 LIFE OF PI follows Pi Patel, a young man on a fateful voyage who, after a spectacular disaster, is marooned on a lifeboat with the only other survivor, a fearsome 450 lb Bengal Tiger named Richard Parker. Hurtled into an epic journey of adventure and discovery Pi and his majestic companion make an amazing and unexpected connection. With incredible cinematography from Oscar nominee Claudio Miranda** (The Curious Case of Benjamin Button, Tron: Legacy) and masterful performances from newcomer Suraj Sharma, Irrfan Khan (The Amazing Spider-Man, Slumdog Millionaire), Rafe Spall (Prometheus, Anonymous) and Gerard Depardieu (Paris, je t’aime, City of Ghosts), the LIFE OF PI Blu-ray 3D is loaded with over two hours of behind-the-scenes special features, including deleted scenes that will make you rethink the story (also presented in 3D), five featurettes that dive into the making of the visual spectacle, 60 pieces of inspirational artwork, storyboards and more.